Driftwood LNG LLC and Drifwood LNG Pipeline LLC (collectively, DWLNG) have filed draft resource reports 1 (general project description) and 10 (alternatives) with the US Federal Energy Regulatory Commission as part of the pre-filing environmental review for its proposed LNG project. The proposed project includes the construction and ownership of an LNG production and export facility located on the west bank of the Calcasieu River, which is near Calcasieu Parish, Louisiana, US. It will include five liquefaction plants with a total production capacity of up to 26 million tpy of LNG for global export. The facility will be provided with gas from existing interstate pipelines via the addition a proposed 96 mile long pipeline. This will include up to 15 meter stations and associated tie-ins at up to 13 sites and two compressor stations. 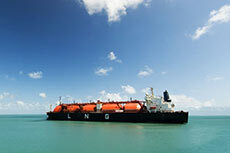 In addition to this, in order to ensure the safe berthing and un-berthing of three LNG carriers (each with a capacity of up to 216 000 m3), marine facilities will be built. DWLNG claims that it is expecting to file its formal applications pursuant to sections 3 and 7(c) of the Natural Gas Act (NGA) in March 2017. It also claims that it will ask FERC to grant the required authorisations for the siting, construction and operation of the project before March 2018. DWLNG expects that construction will commence by 2Q18 and that it will take a total of seven years to complete. The first plant is expected to be operational by the fourth year of construction. The US Federal Energy Regulatory Commission (FERC) has initiated the pre-filing review process for Driftwood LNG’s proposed liquefaction facility. 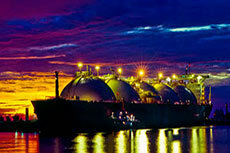 Driftwood LNG requests initiation of pre-filing review process for proposed LNG terminal.